This spiral bound sketchbook contains 15 sheets of 265gsm 15 x 25cm paper, suitable for a whole variety of artistic applications. The sketchbook is bound in a landscape orientation. 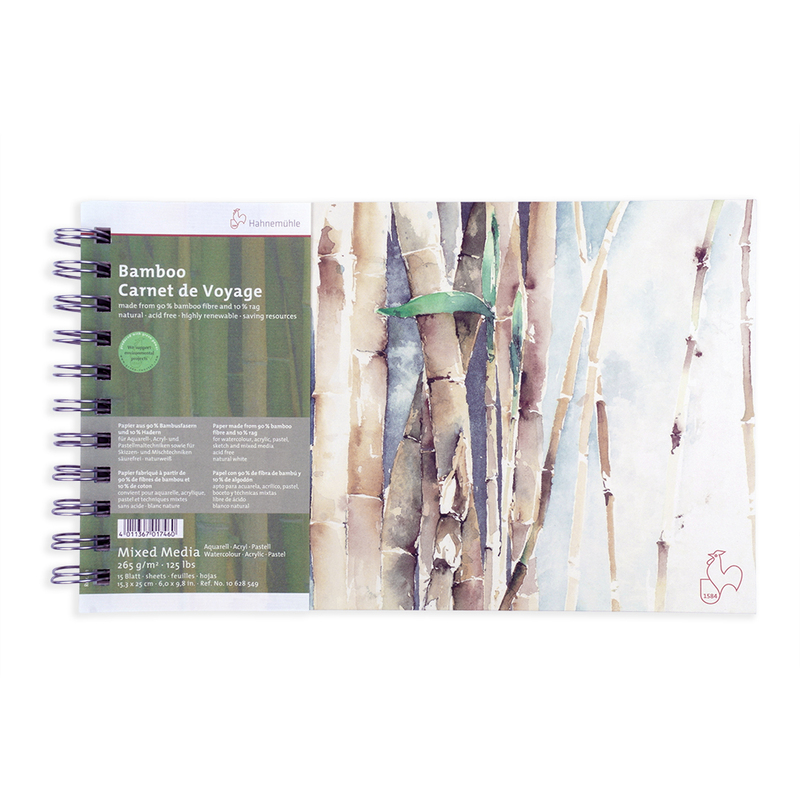 The paper is made from 90% bamboo fire and 10% rag, has a natural white colour and is acid free and age resistant. Suitable for a range of applications including watercolour, acrylic, pastel painting technique, sketching and mixed media.